Lyle Lovett is an americana singer-songwriter and actor from Klein, Texas, who has been described as "the thinking man’s cowboy". While typically associated with the alt-country genre, his albums typically incorporate folk, swing, blues, jazz and gospel music as well as more traditional country & western styles. 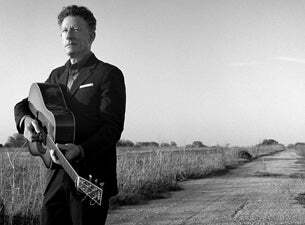 The Night’s Lullaby Songfacts reports that after twenty-six years with Curb, Lyle Lovett released his eleventh and last album for the record label, Release Me, on February 28, 2012. The record is mainly made up of covers that Lovett has played, but never got round to recording. Read more about Lyle Lovett on Last.fm. Here are some industry leading presale databases we recommend you use if you're in need of a Lyle Lovett presale password to buy early tickets to see Lyle Lovett performing live. Getting your tickets early is a great way to get great seating and secure your tickets before they sell out during the public onsale.